News of the official opening of Ramon Airport in Eilat by Israeli Prime Minister Ben Yameen Netanayho captured wide media attention, with more than 133 news items covering the story. These included 42 local reports and 91 articles that appeared in Arab and international media outlets and websites, a study by Jordan Media Credibility Monitor “Akeed” showed. Local coverage was limited to reporting the news and did not provide in-depth analysis nor much information or historic background. This compares with a more professional and comprehensive reporting by Arab and international media outlets in general. The leads in 78 of articles; all 42 local articles and 36 reports posted in Arab and international media, focused on Jordan’s position towards the airport opening, according to Akeed’s analysis. Some local news stories explicitly stated that they cited information from Arab media outlets. In fact, local reports were mostly based on international news which relied on Channel 10 (Israeli TV Channel) and “the Jerusalem Post” newspaper for information. As for the Arabic press, they at times adopted a position reflected in the headlines they chose such as; “Jordan Shocks Israel and Rejects the New Airport near Red Sea”, “Jordan Rejects the New Israeli Airport Near Red Sea”, and “Jordan in Confrontation with Israel,…Israeli Airport Fuels War”. It is also critical to know that, locally, only few attempts were made to explore multiple points of view on the topic. News stories mostly quoted statements by Chief Commissioner of the Civil Aviation Regulatory Commission Haitham Misto which were carried by Jordan News Agency (Petra). The Israeli coverage of the Jordan’s protest, on the other hand, came in more comprehensive than what local news offered to readers. This is evident in articles published by more than one Israeli media outlet and websites. Israeli journalists and correspondents also found in this an opportunity to promote their views in international media. An example of this was an article titled “Israel’s New Airport Puts Petra in Jordan and Egypt’s Red Sea Reviera on the Region’s Travel Map”. The writer says Ramon Airport “is promoted as a gateway to southern Jordan, including Petra and Wadi Rum” with shuttle buses expected to carry tourists to the two destinations. 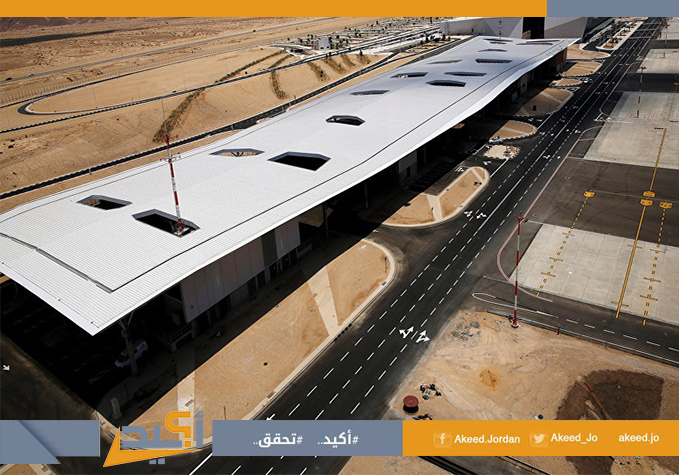 It is worth mentioning that the construction of the airport was reported by international news agencies, specialized websites, as well as international and Arab media outlets several months ago – some back in 2015. Headlines used included: “A new Israeli Airport to attract Israeli Tourists to Eilat.” Historical information that enriched the articles written back then were missing from recent local reports.